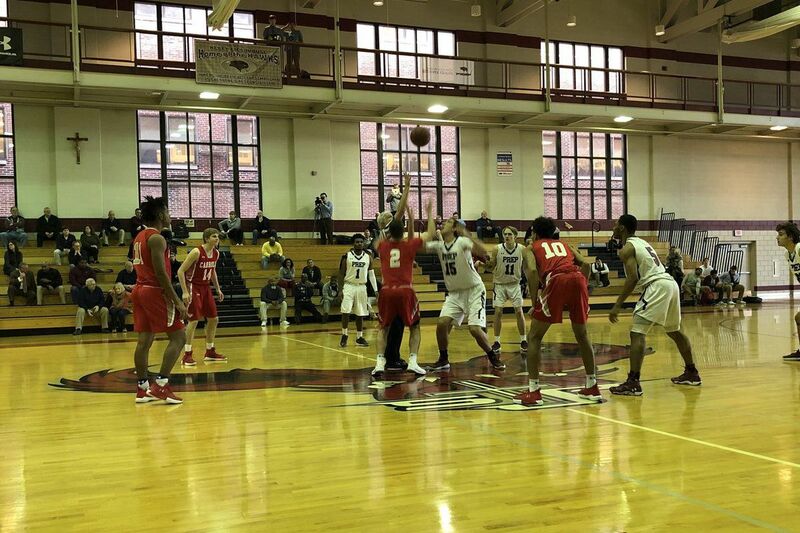 The Archbishop Carroll boys’ basketball team beat St. Joseph’s Prep, 70-59, on Monday. Keyon Butler notched 24 points and 11 rebounds to lead the Archbishop Carroll boys' basketball team past St. Joseph's Prep, 70-59, on Monday. Justin Anderson and AJ Hoggard added 17 points apiece for the Patriots, who moved to 11-4 overall and 5-1 in the Catholic League. Darius Kinnel ended with 19 points for the Hawks, who were without La Salle commit Ed Croswell due to a concussion. Noah Warren had 17 points as Neumann-Goretti stayed perfect in Catholic League action with a 55-47 decision over La Salle. The Saints improved to 11-3 overall and 6-0 in league play. Montrell Logan and Timothy Young had 26 and 24 points, respectively, as Strawberry Mansion outlasted Eastern University Charter, 95-91, in overtime. Eastern University Charter's Darnell Ransom Jr. scored with 7.1 seconds left in regulation to force the extra period. Washington defeated School of the Future, 78-75, in overtime thanks to 27 points from Riccardo Whitfield. Korey Stewart filled the stat sheet with 29 points, 16 rebounds, six blocks, four assists, and three steals in Masterman's 71-59 win over Maritime Academy. Robert Tucker netted 13 points and pulled down 19 rebounds in Paul Robeson's 66-49 triumph over Sayre. Walter Hester paced Paul Robeson with 18 points. Malik Haynes-Smith recorded 19 points and six steals in Bodine's 61-41 victory over Swenson. Audenried's Denijsha Wilson became the school's all- time leading scorer in a 52-47 win over Palumbo. Wilson had seven points and 14 assists on Monday. Isabella Vazquez led all scorers with 29 points as Washington held off Fels, 58-44.